The inherent complexities in hydrologic phenomena have been turned into a barrier to get accurate prediction by conventional linear methods. Therefore, there is an increasing interest toward data-driven black box models. In recent decades artificial neural network (ANN) as a branch of artificial intelligence method has proved its efficiency in providing accurate results to model hydrologic processes, which subsequently leads to provide important information for the urban and environmental planning, land use, flood, and water resources management. The efficiency of any data-driven model (e.g., ANN) largely depends on quantity and quality of available data; furthermore, the occult noises in data may impact the performance of the model. Although ANN can capture the underlying complexity and nonlinear relationship between input and output parameters, there might be a need to preprocess data. In this way, noise reduction of data using an appropriate de-noising scheme may lead to a better performance in the application of the data-driven ANN model. 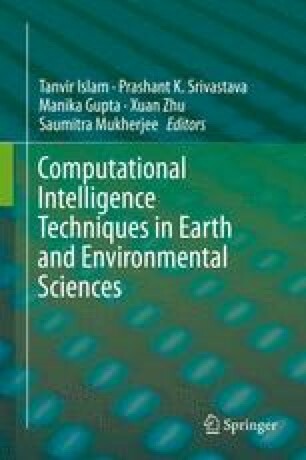 Thereupon, in this chapter, the ANN-based hydrological models (i.e., stream-flow and sediment) were developed by focusing on wavelet-based global soft thresholding method to de-noise hydrological time series on the daily scale. The appropriate selection of decomposition level and mother wavelet type is effective in thresholding results, so that sensitivity analysis was performed over levels and several Daubechies group mother wavelets (Haar, db2, db3, db4, and db5) to choose the proper variables. In this way, de-noised time series were imposed into an ANN model to forecast flow discharge and sediment values. The comparison of obtained results for both single ANN-based and de-noised-based (i.e., preprocessed) approaches revealed that the outcomes have been improved for the later model. Furthermore, the consequences indicated that the wavelet de-noising was significantly dependent on the chosen mother wavelet whereas forecasting results varied obviously with the alteration of mother wavelets. Eventually, it was resulted that after a specific threshold, no eminent progress in results was obtained unlike the reduction occurred. Overall, the wavelet-based de-noising approach, as a preprocessing method, can be a promising idea to improve the ANN-based hydrological models.